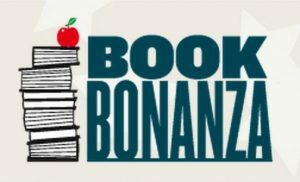 To celebrate the arrival of many new books in the children’s reading areas, pupils have been set the challenge of reading four books that challenge them in four weeks in ‘The Book Bonanza at Brunswick’. Everyone who completes the challenge will receive a certificate and sticker and many new books will be up for grabs as prizes when winners are drawn from a hat at the end of the term. Daily reading is proven to increase children’s vocabulary, ability to focus and their success both academically and socially. Help your child meet the challenge by ensuring that they are completing their daily reading homework. Parents of children in Reception to Year 2 can complete their reading records when you have heard your children read while those with children in Years 3 to 6 can check that your children have completed one of the reading activities stuck in the back of their records. The children are incredibly excited: let’s all help them to achieve! Previous post The Season of Remembrance Next post Choose RESPECT!! !